Davies: As “The Village Green Preservation Society” is supposed to be about things I want to preserve, I thought I would try that song. Desperate Dan is a comic-strip character from a magazine called The Beano. 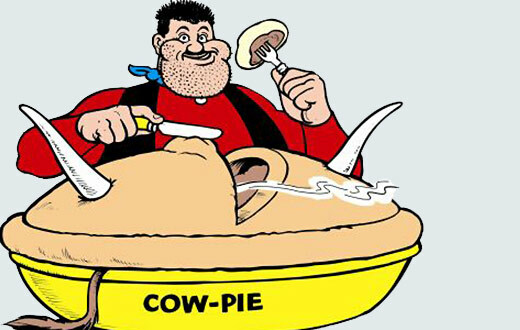 An English version of Bluto from Popeye but the good guy. A muscle man with a big chin covered with stubble. He would eat cow pie for some reason. I forgive him because I don’t eat meat. I still wonder what Desperate Dan’s function was in the world. I still do not know why he was called Desperate.